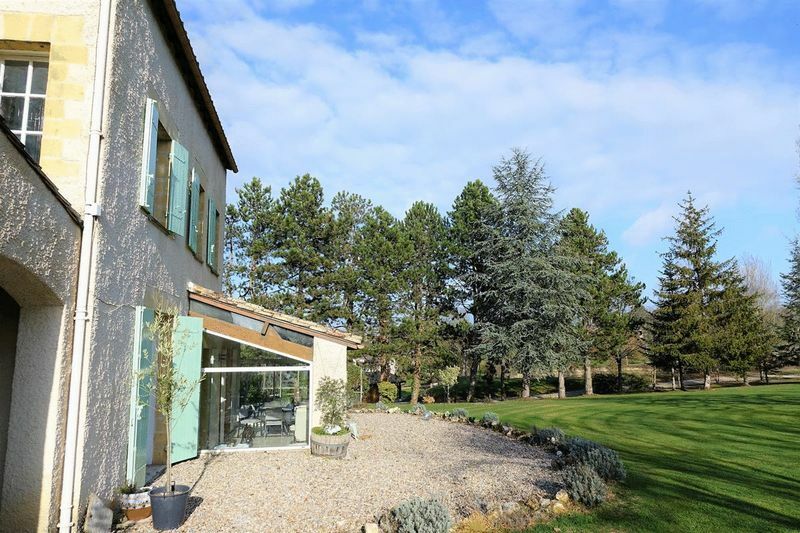 CHF16840- Beautiful and spacious 6 Bedroom property with Terraces, basement garage, a Swimming Pool, Orchard, all set in 5.7 Acres of land in one piece. Located in a quiet small village, not isolated nor overlooked. Benefiting from beautiful far-reaching views. 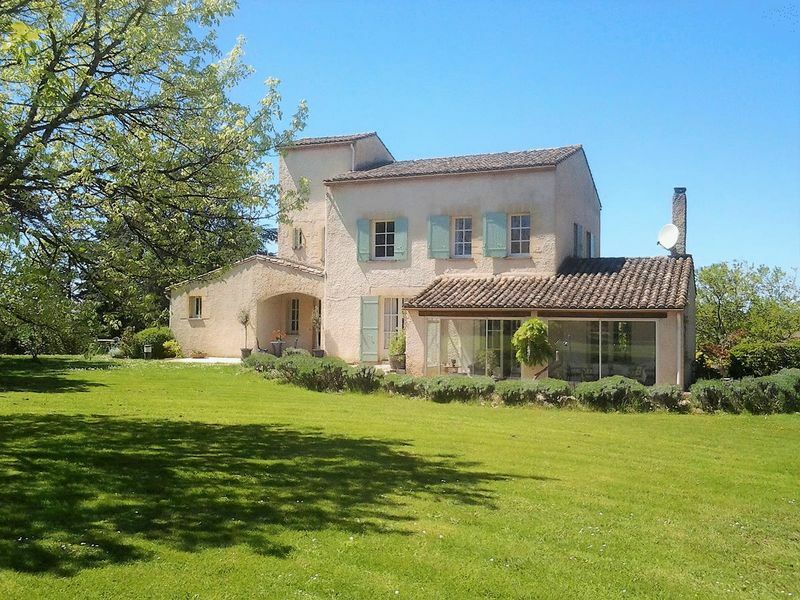 Only 6 or 7 minutes' drive to the Bastide village of Eymet offering shops, restaurants, bars and a lovely weekly open-air market. 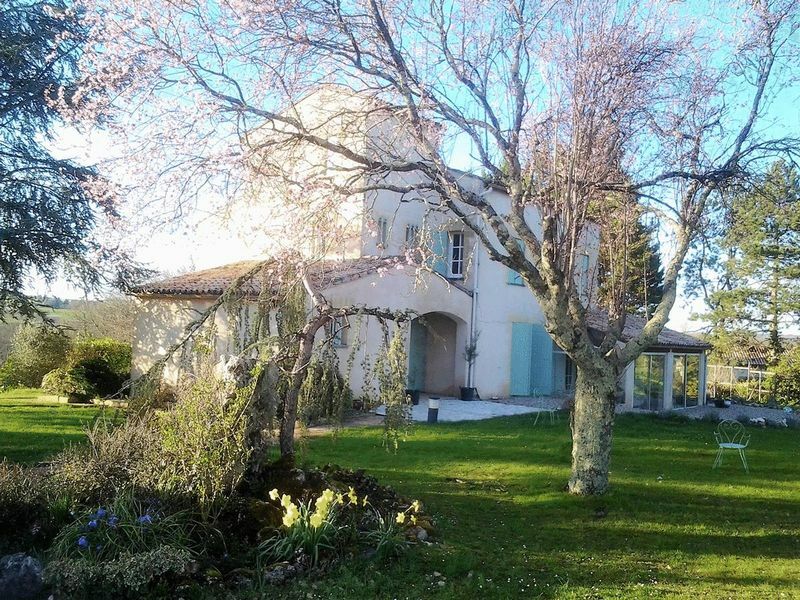 Built in the 1975's/1980's this lovely home is situated in an elevated position of a small village. A porch (6 m²) with stone floor tiles. Entrance hall (14 m²) and a corridor leading to the sitting room, granite tiles on the floor. Large Sitting/Dining room (54 m²) with French windows overlooking the Terraces and Conservatory, a beautiful stone fireplace with a wood burning stove, cast iron radiators connected to a fuel boiler, reversible air-conditioning, granite tiles, high ceilings, view over the park and the pool area. 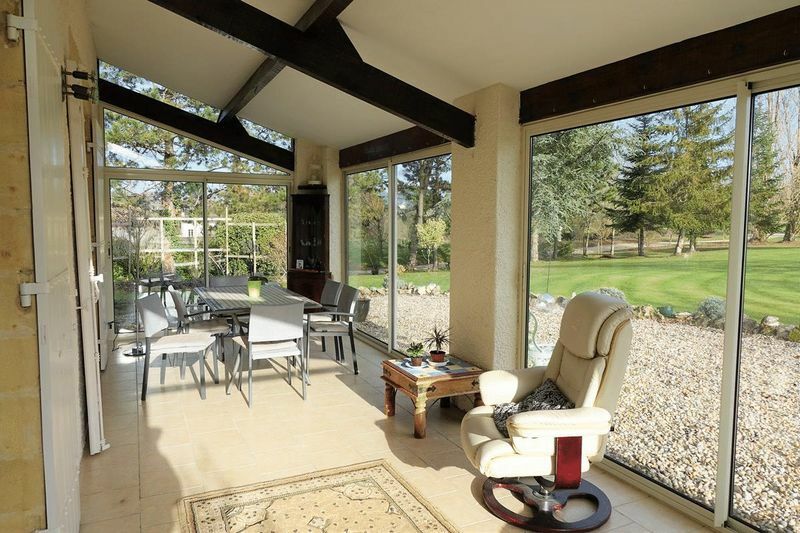 A beautiful and bright Conservatory with wooden frame and double-glazed windows (20 m²) tiled floor, access to the garden and lounge, viewof the beautiful wooded park. 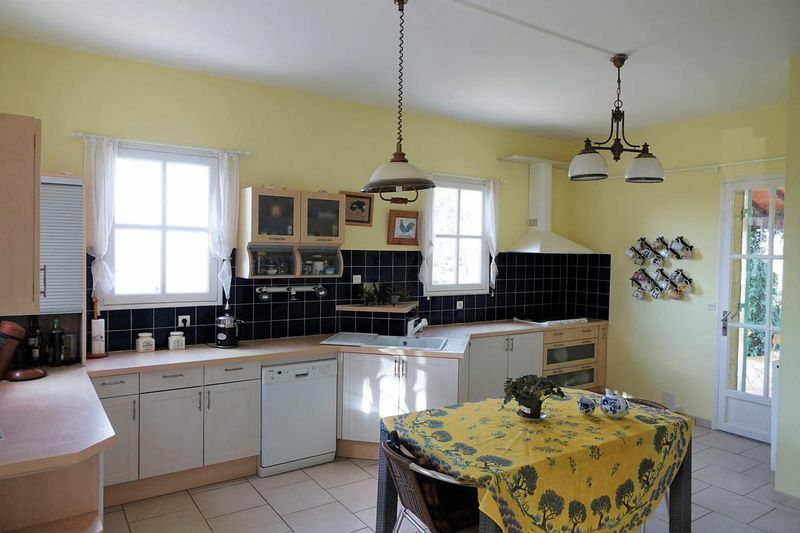 A fully fitted and equipped Kitchen/breakfast room (25 m²), two wooden glass doors provide access to the Terraces, one of which is covered and equipped with a barbecue. Study (12.85 m²) French window opening on to the front of the house. 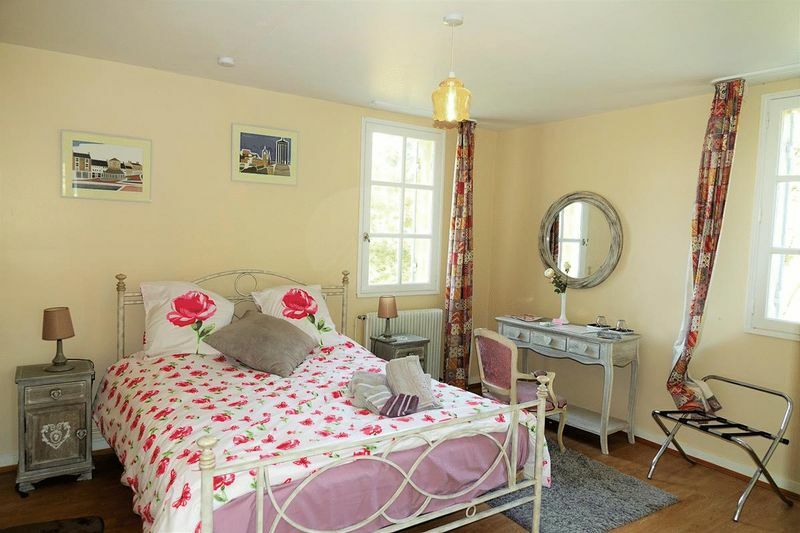 A ground floor double Bedroom (12 m²) with a window overlooking the grounds, a fully fitted range of cupboards. 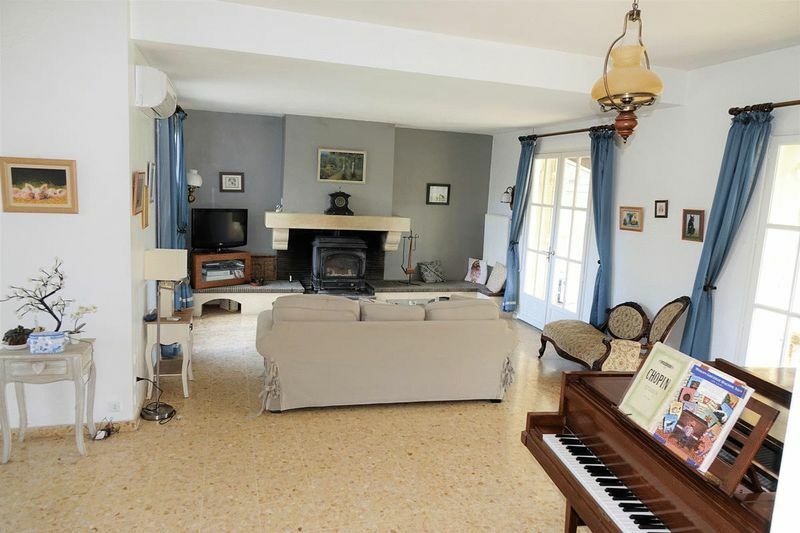 Landing with fitted cupboards, quality carpet (10 m²) and staircase to the second floor. 2nd double Bedroom with en suite Shower room/WC and a small Dressing room (16.4 m² + 6.6 m² + 1.75 m²), laminate parquet floor and tiles in the shower room (a large and well-equipped cabin). 3rd double Bedroom with en suite Shower room/WC (18.8 m² + 2.88 m²) parquet flooring and tiles in the shower room, two large windows overlooking the park, fitted cupboards. 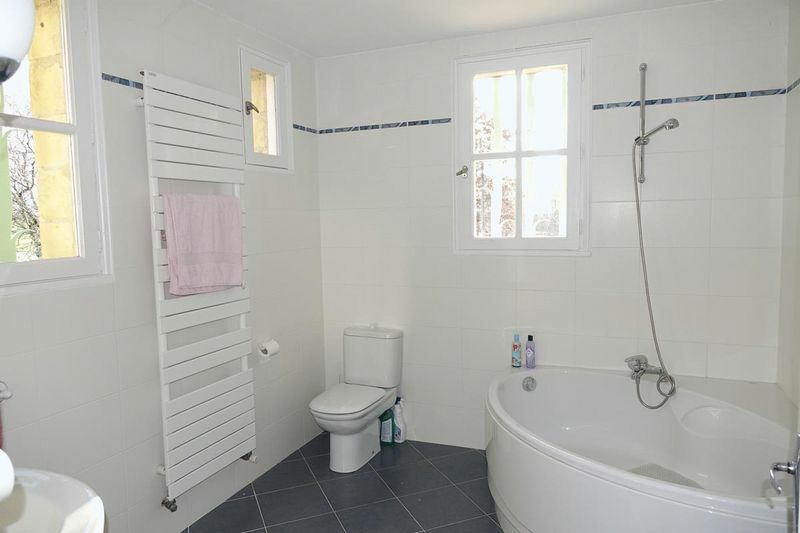 A family Bathroom (7.78 m²) with bath, WC, washbasin and heated towel rail. 5th double Bedroom with fitted cupboards (15 m²) a very pleasant room facing east. 6th Bedroom (or study / playroom ) (10 m²) with laminate parquet floor, access to the attic. A part of the garage has been arranged/equipped with: - the pool pump/filtration system, - the Buderus oil boiler with its hot water production and central heating system for all rooms (cast iron radiators), - the oil tank and - the electric water heater. In front of the garage, a covered area under the terrace. A storage room with a concrete staircase (15 m²) concrete floor. A room/office/workshop area with a small window (23 m²), concrete floor. This beautiful and spacious house, built in the 75/80s, is well proportioned and enjoys tranquility and a superb view of the grounds and over the surrounding countryside. The property is located on the edge of a small road with a few neighbours the house is not overlooked. Several terraces have been created to offer different areas and sun exposure at different times of the day, including a covered Terrace to the front with a view over the orchard, also near the kitchen to provide practical access from kitchen to covered terrace and barbecue, also another near the pool. 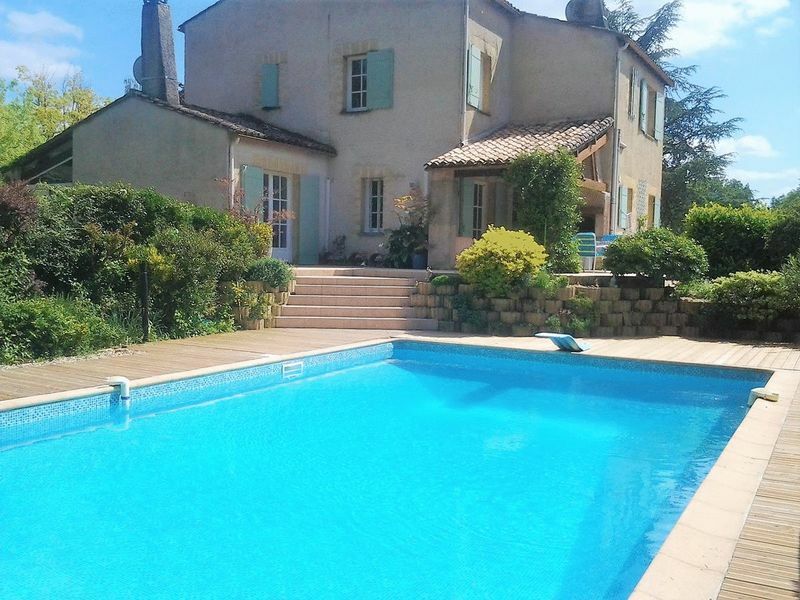 The Swimming Pool (12 m x 6 m) with diving pit, liner, chlorine filtration and a beautiful wooden Terrace all around. The pool area is equipped with a protection barrier in accordance with current regulations but also with two alarms, there is also a winter and summer cover. The land, 2.3 hectare (, is in one piece. - A first part is located to the front with some beautiful trees and shrubs. - A second part is located at the back of the house with its access/drive and parking air for several cars. - A third part is planted with fruit trees and a vegetable garden. 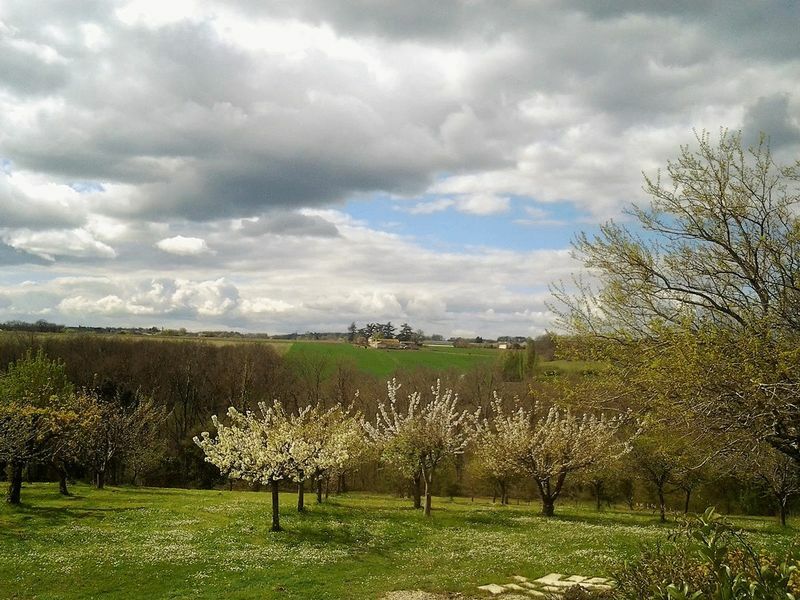 - A 4th part is wooded with oak trees and some pines and other species. - The 5th part is the small pond with the meadow at the bottom. - The meadow is perfect for a horse or donkey. A Well with pump system all in working order.